What are the Difference between Natural Diamond and Synthetic Diamond? Synthetic diamonds are a great alternative to natural ones, but many people tend to be suspicious of diamonds that are created artificially. Let’s see what synthetic diamonds really are and how they compare to naturally occurring diamonds. Diamond is a substance that is made of carbon and has a crystal structure. 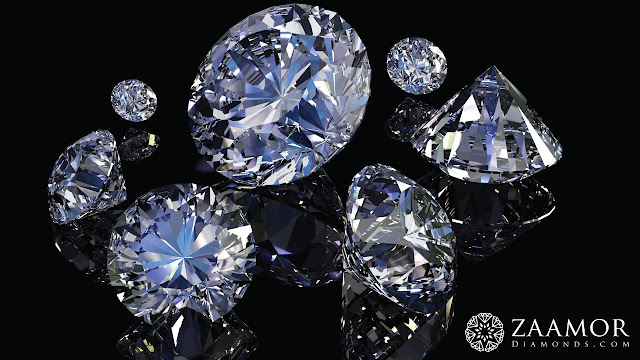 In nature, diamonds are formed deep inside the earth, under high pressure and temperature. What is remarkable is that these beautiful stones you see in all kinds of jewelry are actually billions of years old. A lot of people incorrectly assume that synthetic diamonds are not real diamonds. However, this is not true. Although synthetics are not formed naturally, they have the same chemical composition and physical properties as natural diamonds. So, synthetic diamonds are not fake, and their artificial origin has nothing to do with the fact that they are real diamonds in terms of structure. So, if natural and synthetic diamonds have the same makeup, are there any differences? 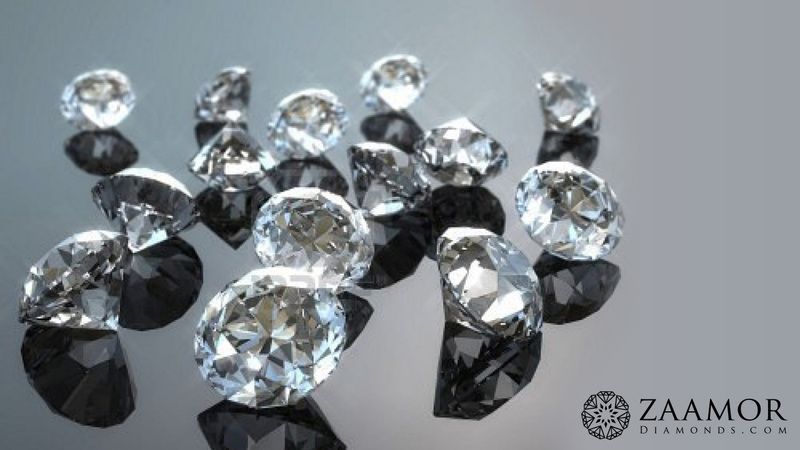 Synthetic diamonds do differ from natural stones, but not as far as their fundamental structure is concerned. The main difference that can be observed is in the clarity of the stones. Whereas most natural diamonds have internal flaws that occurred during the stones’ formation, synthetics tend to be cleaner. This is because they are created through a controlled process designed to minimize defects, and as a result, there are fewer flaws in the crystal structure of synthetics. It is very hard even for an experienced jeweler to tell a synthetic diamond from a natural one. Usually, one needs special equipment to establish with certainty whether a stone is lab-grown. It is highly unlikely for someone to be able to tell that a synthetic diamond is artificial just by looking at it with the naked eye, or even with a loupe. The best way for a consumer to find out whether a stone is natural or created is to ask for its certificate as it will be mentioned in it. If your stone does not have a certificate, you should ask your jeweler to provide one to ensure the authenticity of the diamond. One of the biggest advantages to buying a synthetic diamond is that compared with a similar natural stone, the created one is cheaper. When you also consider the fact that synthetic stones usually don’t have large and visible inclusions, you realize that you can get a flawless or nearly flawless diamond at a lower price than what you would pay for a naturally clean stone. 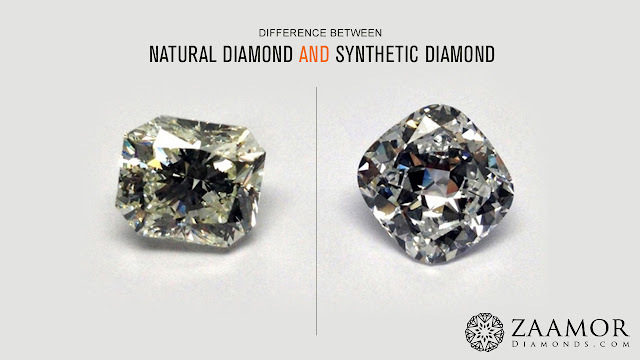 Zaamor Diamonds Blog: What are the Difference between Natural Diamond and Synthetic Diamond?